Photographs of Jackfruit and also some close-ups of the fruit which is known as phanas in India. The fruit is the largest tree-borne fruit and can weigh as much as 35 kilograms. It has a strong smell but there are parts of India, particularly the south and coastal areas where it is popular. Inside it is orange/yellow in colour. Outside it has a spiky green exterior. Besides the fibre and vitamin C content like all fruits, jackfruits are also rich in B-Complex vitamins. 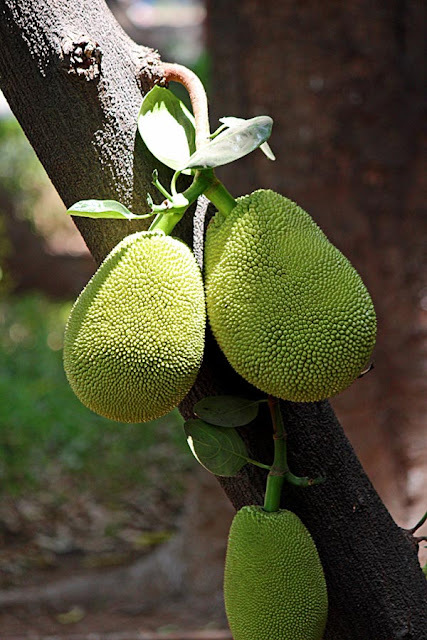 Two large phanas or jackfruit hanging on a tree. 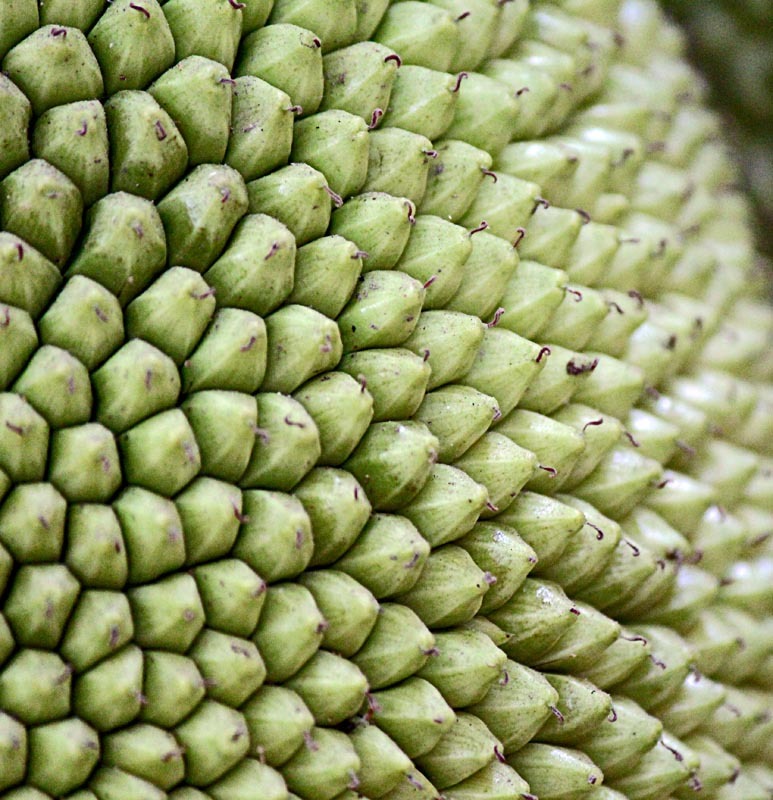 Close-up of the jackfruit spikes makes the small projections look a little like green bananas! 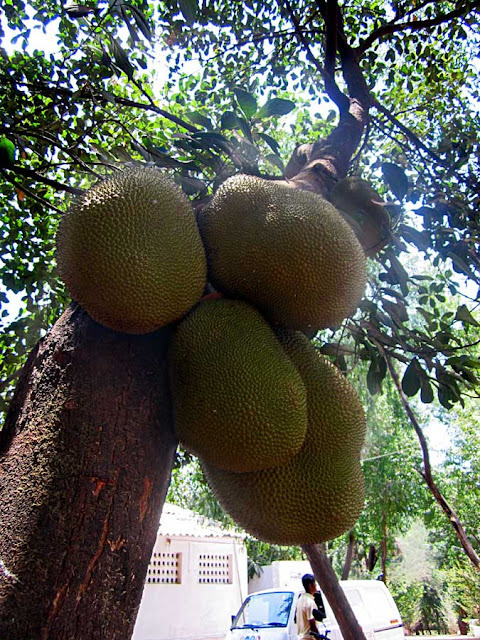 A large bunch of jackfruit or phanas hanging from a tree. Or check the label "Fruits" for more pictures and also sketches of fruits.